There are many organizations across the U.S. that offer retreats for veterans. Many of these retreats focus on healing the emotional wounds that occur during combat. NMFA was founded in 1969 by a handful of military wives who wanted to make sure their widowed friends were properly taken care of. NMFA provides military families with the opportunity to reconnect as a family. 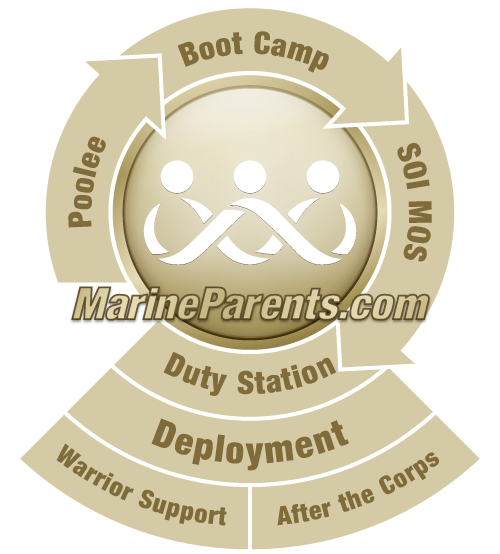 Through their camps and retreats, they are able to help bring military kids from all ranks and services together; they are able to support wounded service members and their families, and scholarships are available for military spouses. NMFA stands behind service members, their spouses, and their children. At the heart of WQW's programs is the lodging out of which Fishing Experiences (FX's) are based. Here, warriors find themselves in a peaceful environment, surrounded by loving volunteers in a setting far removed from hospitals, doctors, and the rigors of combat. Through the experience of fly fishing in Montana, WQW is a catalyst for positive change in the lives of post-9/11 combat veterans. 1. Marines and Navy Corpsman. 2. A disability as a result of being wounded, ill or injured since 2003. The Mission of All the Way Home is to create a community of support and action that provides individual mentoring, small group transformation, and community awareness to promote the healing and reintegration of combat veterans into society. To accomplish this we will reach out to veterans and their families with the help of committed persons and groups willing to take responsibility for the healing of those we have sent to sacrifice on behalf of our nation. Open to OIF/OEF/OND veterans who suffer from TBI, PTS, chronic pain, or experienced military sexual trauma. Retreats are held monthly and take place in a variety of locations across the U.S. List of retreats, seminars, camps and programs across the country for wounded, ill, and injured veterans, family members, and caregivers. The Warrior Connection (TWC), is a transformative non-profit in the beautiful countryside of the Green Mountains of Vermont. TWC's mission is to improve the overall well-being of our Veterans and their families. TWC hosts residential retreats and provides services to our Veterans and their families, helping them recover and heal from the invisible injuries incurred while in uniform. Since 2010, The Warrior Connection has been working diligently with Veterans to decrease the negative impacts of Post Traumatic Stress (PTSD), Military Sexual Assault (MST), heal moral injuries, and reduce suicide. The Coastal and Offshore Recalibration Experience (CORE) is a San Francisco based 501c3 non-profit program which aims to help reduce veteran suicide by assisting in the continual and holistic healing process of our nation's combat-wounded veterans. Through therapeutic activity including sailing, surfing, yoga, art, music, nature retreats and more, the program serves to re-inspire and re-engage the warrior spirit by allowing participants to look beyond their newfound challenges to achieve their full potential while re-establishing the camaraderie and sense of community that has been lost by many since leaving the battlefield. Utilizing both adaptive and conventional sailing vessels and other equipment, CORE is accessible to any veteran, regardless of the nature of their injury. Both peaceful and exhilarating in nature, CORE represents a unique medium which allows veterans to become fully adrenalized in a positive and sustainable setting while opening participants' eyes to the endless opportunity that exists in the world while equipping them with the tools that they will need to transition into the next stage of their lives and re-invent themselves, post-injury. Horses for Heroes in Sante Fe, NM is Equine Gestalt Coaching which is a form of coaching instead of therapy. Horses for Heroes does state that while their program is more of a coaching approach, it is very therapeutic in nature.